On Tuesday, June 3, 2014, the Senate passed a bill by unanimous consent to amend the Dodd-Frank Act and allow the Federal Reserve to issue softer regulations on insurance companies and other non-banks that are considered systemically important financial institutions. Specifically, the bill clarifies that the Fed can set lower capital requirements for these companies than what the law requires for banks. The Wall Street Journal has called the bill "a win for companies like Prudential Financial Inc. and MetLife Inc." The bill now moves to the House of Representatives where it already has more than 50 co-sponsors. Insurance industry interests supporting the bill—including MetLife, AIG, and the Property Casualty Insurers Association of America—have given more than $20.8 million to current members of the Senate, from Jan. 1, 2008 - Dec. 31, 2013. MetLife's political action committee (PAC) has given $400,750 to current members of the Senate, from Jan. 1, 2008 - Dec. 31, 2013. Prudential Financial's political action committee (PAC) has given $240,000 to current members of the Senate, from Jan. 1, 2008 - Dec. 31, 2013. 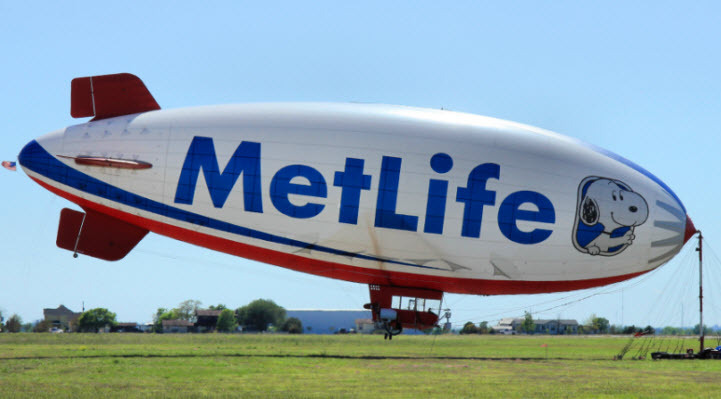 MetLife stock is the 41st most commonly held stock by members of Congress. It gained three percent in value on the day following the Senate's passage of this bill. Senator Rob Portman (R-N.H.) has received $822,697 from interests supporting the bill, from Jan. 1, 2008 - Dec. 31, 2013, more than any other member of the Senate. He is a co-sponsor of the bill.